When we were traveling in New Mexico, everywhere Liz and I went there was talk of spirit animals. I pushed aside the idea that I might have a spirit animal, until we got to Taos and were browsing a very large selection of native artwork in one of the local shops. In a far corner, tucked away in a display case, was a little roadrunner in silver. Growing up on Calzada Ridge we used to see the roadrunners all over the place. They would run the hot asphalt road, even in the 100-plus temperatures of summer, and sometimes they appeared on top of our low split level fence. They were cool birds, and we always liked seeing them. The mischevious roadrunner of the Road Runner and Wile E. Coyote cartoon always confused me – because I’d seen these animals, and they didn’t look or sound like that. About the time I graduated from high school, the roadrunners disappeared. We figured that maybe increased development in our rural neighborhood had pushed them out, or maybe the coyotes got them (see, that cartoon does have some potential merit beyond entertainment). All of my family members agreed recently that we hadn’t seen one in the foothills for a very long time. So long, that I had forgotten about roadrunners until I saw that silver talisman. 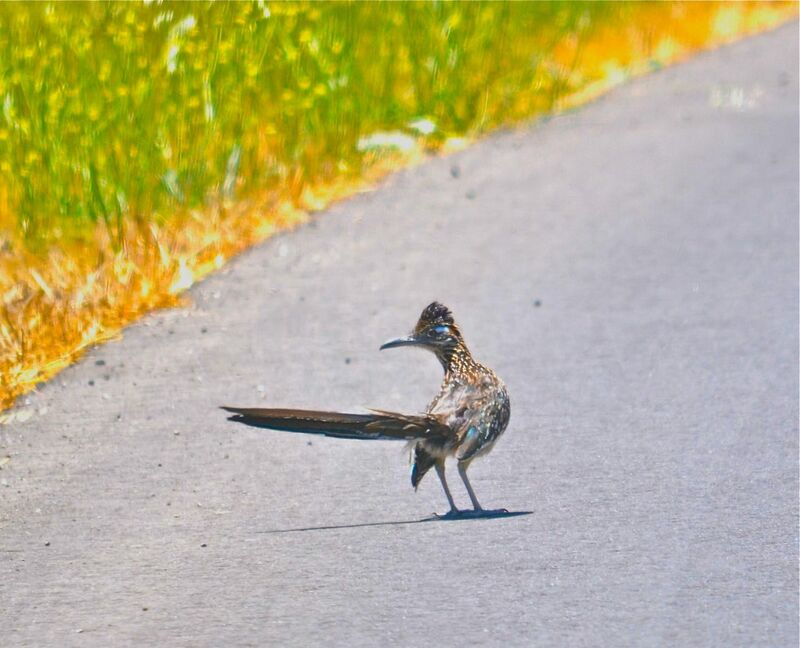 Of course, I do have a spirit animal – there aren’t many creatures that have spent as many hours running those hot asphalt roads where I grew up as the roadrunners, and me. It felt good to make that connection. But I was sad that we hadn’t seen these cool creatures for long, and assumed they were gone for good. 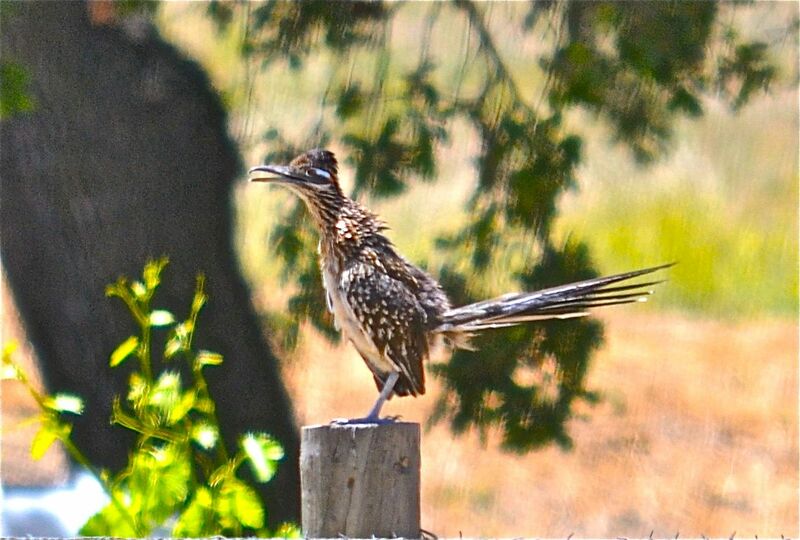 Today, my dad snapped these photos of young roadrunners along Calzada Road. They’re back! I’m so excited, even though I didn’t see them myself. What a great discovery. I hope they are around for awhile. A former colleague who lives in a rural part of Goleta tells me that his family had the same experience. After being gone for years, the roadrunners have returned. Seems to me like a very good sign.